Sonoma County may be a culinary destination for other reasons, but in my family we are most grateful for the abundance of fantastic taquerias. Within walking distance of our house there are many places to enjoy a tasty taco, crunchy tostada or a big @#* burrito. Our kids share our love of Mexican food (which is a family requirement along with love of pizza). They generally gravitate towards a simple bean and cheese burrito with a Horchata to wash it down. My husband and I recently discussed that we need to branch out a bit, or our children will think that every restaurant features the cuisine of Mexico! 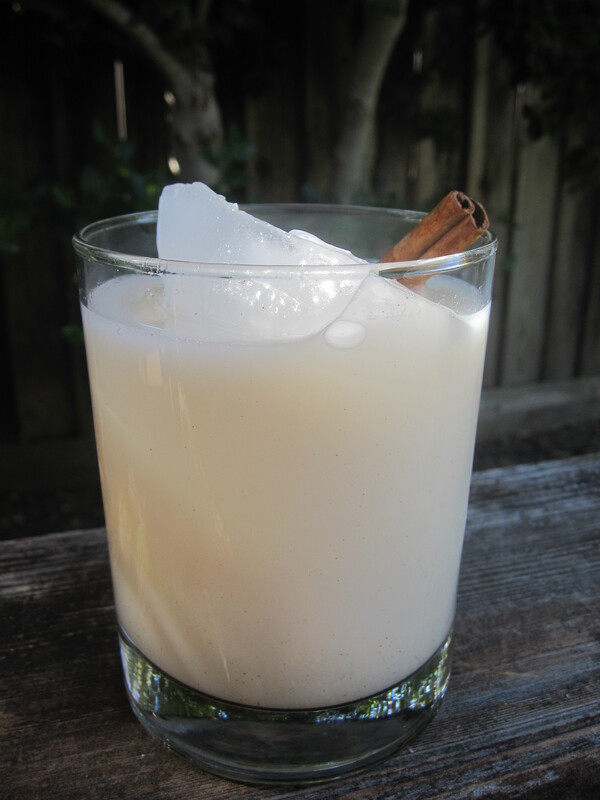 Horchata is a sweetened rice drink infused with just enough cinnamon to make it interesting. It is served cold, over ice, and is the perfect balance to a hot and spicy meal. Given that we often make our own Mexican-inspired food at home, we decided it was time to make horchata as well. After researching several recipes, I settled on one adapted by David Lebovitz. It is so incredibly simple that I have happily made it many times already. Long grain white rice is ground into a powder and soaked with cinnamon over night. The bits are then strained out and the liquid sweetened and mixed with milk. Done. I love that by making it at home, I can control the amount of sugar that is in the drink. Our kids love it and so do we. According to myth, this drink is also quite the hangover cure, though I can not personally confirm that. Horchata is a refreshing drink for any spring or summer day. Day by day, our children are taking over our lives with a force that eclipses their small stature. First was the living room, invading the space with a pulsing tide of toys and other detritus. Slowly their influence oozed into our music, favoring 90’s grunge rock for no explicable reason. The most recent conquest was the meal plan. Though they are both enthusiastic eaters of most dishes I serve, they now each direct the selection of one dinner a week. What seemed benign at first quickly spiraled into many successive nights of pesto pasta, hamburgers, and spaghetti and meatballs. My kids, who would eat anything, had a very short list of items they would actually request. Luckily with some gentle encouragement, they happily incorporated some new meal variations that keep them (and their parents) satisfied. 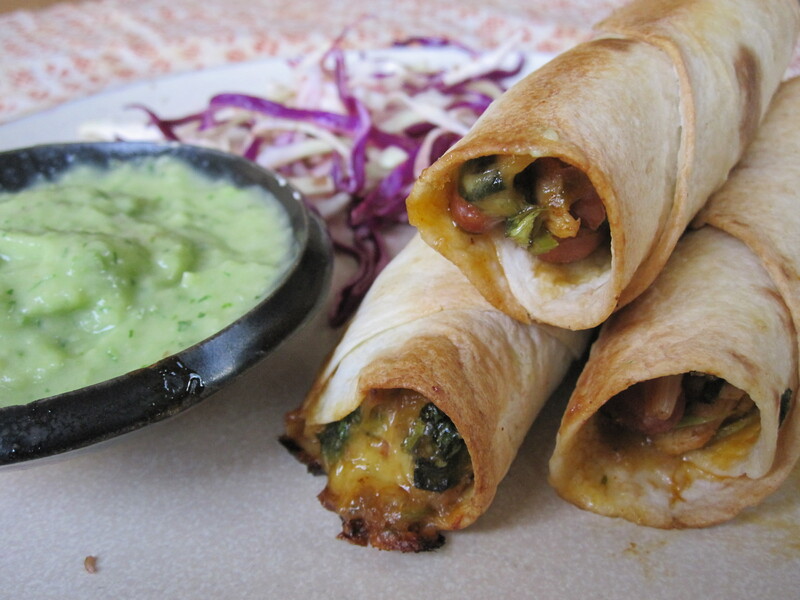 Baked Chicken Flautas are crispy, crunchy flour tortillas wrapped around a moist, mildly spiced bean and chicken filling. They hit on all of my children’s favorite notes: finger foods, beans, cheese. They are tasty enough to appeal to the adult set as well. Whip up some Chipotle Salsa for a dip to make these flutes really sing. Feel free to change the filling around. Not a fan of beans? Leave them out and increase the chicken. What to make them vegetarian? Omit the chicken and add crumbled tofu or corn to the mix. 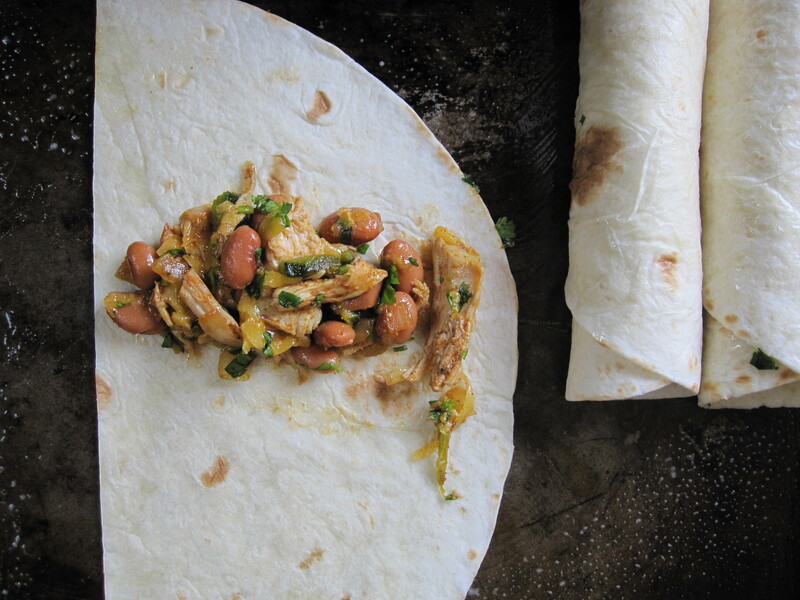 Really, anything you would throw in a taco can be rolled up in these tortillas and baked. We ate these for dinner, but they would be great as a party appetizer as well! So, how about you? What are the family pleasing meals that grace your table? We recently lost a chicken, which made me think of how fortunate we have been since our children were born not to lose any family or friends that they are close to. This presents a challenge though, in how to teach our children of the role of death in life and of grief and how one continues on in the face of it. But then, is that not what this season is all about? The dying of summer and light leading us into the cool introspective winter. The death of one season and the birth of another. If one looks beyond what Halloween has become for many- an excuse for sugar indulgence or a chance to dress as a mass murderer or a whore, this time is an opportunity to commune with those who have passed on from life into death. Our ancestors, our contemporaries, our friends who are no longer among the living. The Mexican holiday of El Dia de los Muertos (Day of the Dead) is especially intriguing. I love the imagery of the brightly decorated skulls that signify the integral part that death plays in life. We act this out with each meal, taking the life and energy contained in plants and animals and bringing it into our bodies to fuel our own existence. So, while looking at some pictures of celebrations of Dia de los Muertos, my son and I began to talk of death. I told him how death was a part of life and that it need not be a scary thing. That all that is living must one day die (like our carved pumpkins destined for the compost),but that death would fuel the beginning of new life. He nodded and agreed, reminding me of how incredibly sane and stable children are and how grateful I am that my life is blessed with two very special little people. 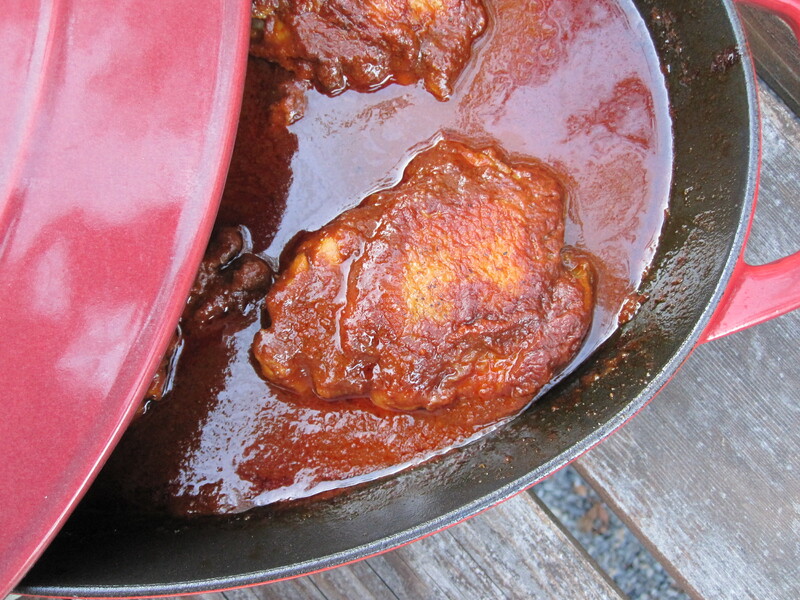 Chicken Mole is a perfect dish for Dia de los Muertos. A thick sauce, rich with chiles, nuts, and the signature chocolate, bathes chicken as it slowly cooks and absorbs the luscious flavors. This is a special meal, requiring a bit of time to prepare the sauce. Feel free to make it ahead and keep in the refrigerator or freeze. 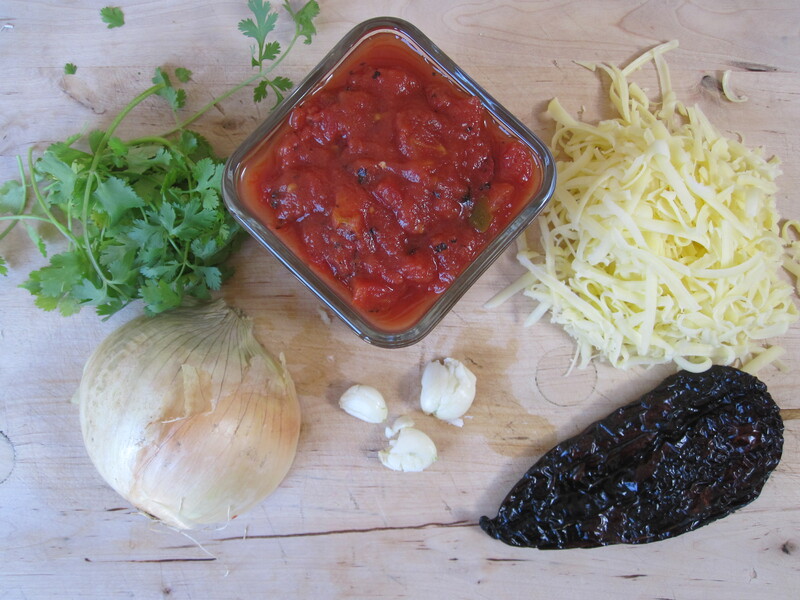 It is worth every step to create this incredible sauce. 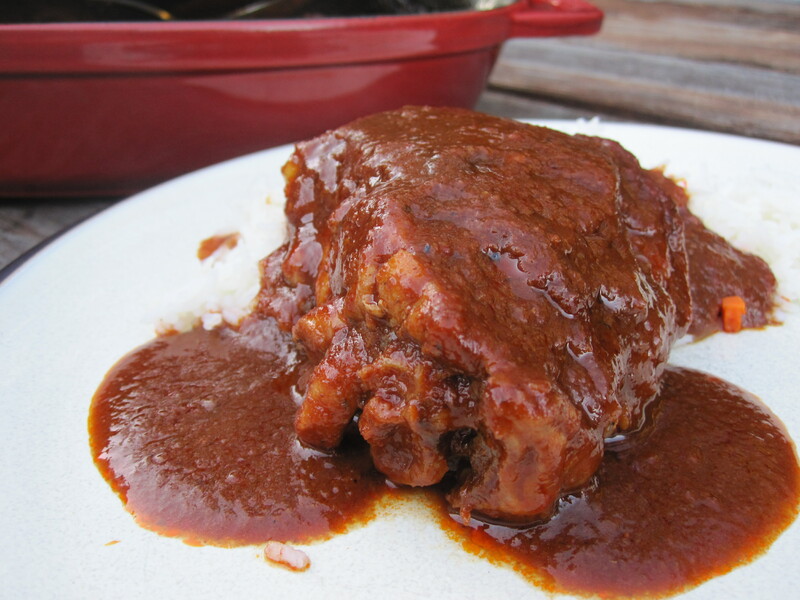 Serve Chicken Mole with simple rice. Note: The mole is also excellent with turkey. Try it as an unexpected gravy on Thanksgiving. Enjoy! It is Mexican food week at our house. No, not really because of Cinco de Mayo. The truth is we just really like to eat just about anything Mexican- traditional or inspired. We have been eating carnitas, homemade refried beans, chorizo empanadas, and now for the third time this month, Chicken Tortilla Soup. 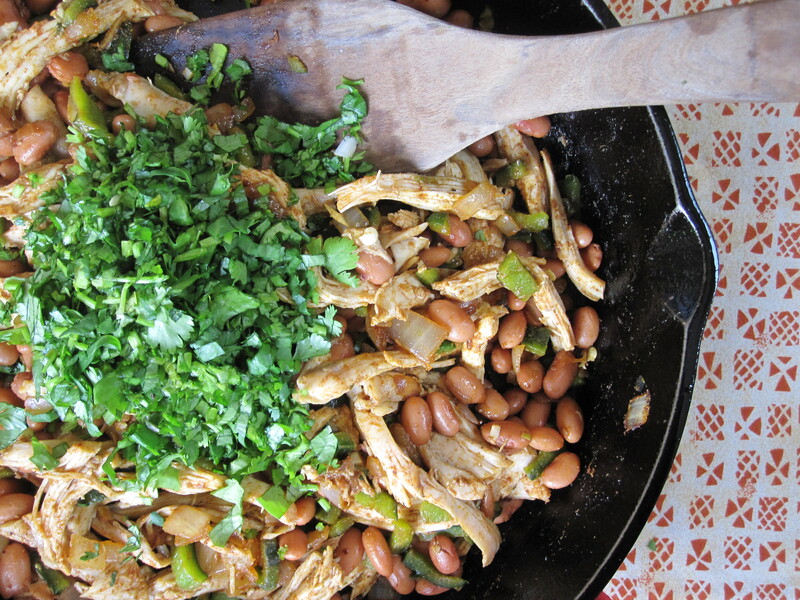 This recipe comes from Rick Bayless’ Mexican Everyday. If you have not checked out this book, you should. It is definitely one of our favorites. 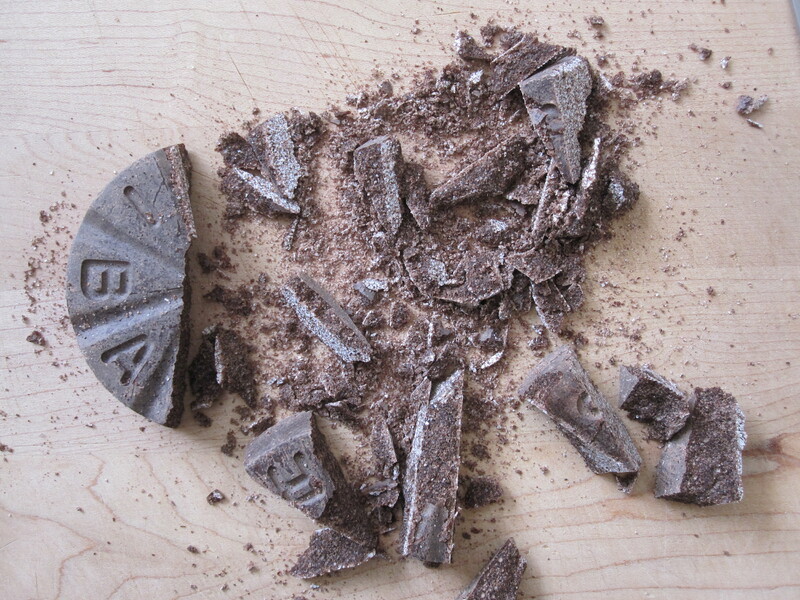 We happened across it in the kitchen of a house we rented in Nayarit, Mexico years ago. My husband and I both loved it, and the meals we created from it so much, that we both surprised the other with a copy of it for Christmas that year. Oops. Following the excesses of the holidays, my family and I generally run for the hills. Nestled in the rain drenched Santa Cruz Mountains, we seek the calm and quiet that comes with solitude. We explore, rest, and reconnect as a family. We also nourish ourselves with simple foods. 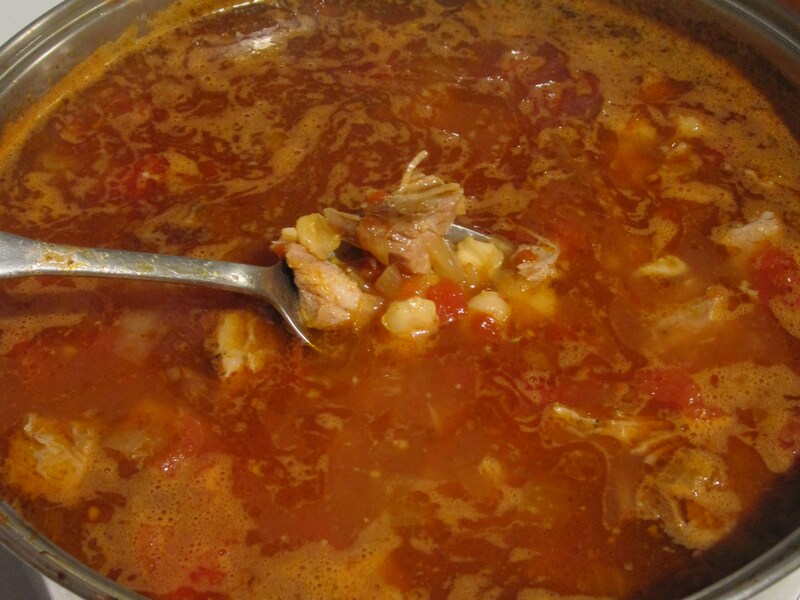 The last few years, we have spent the first day of our vacation brewing up a rich pot of pozole. 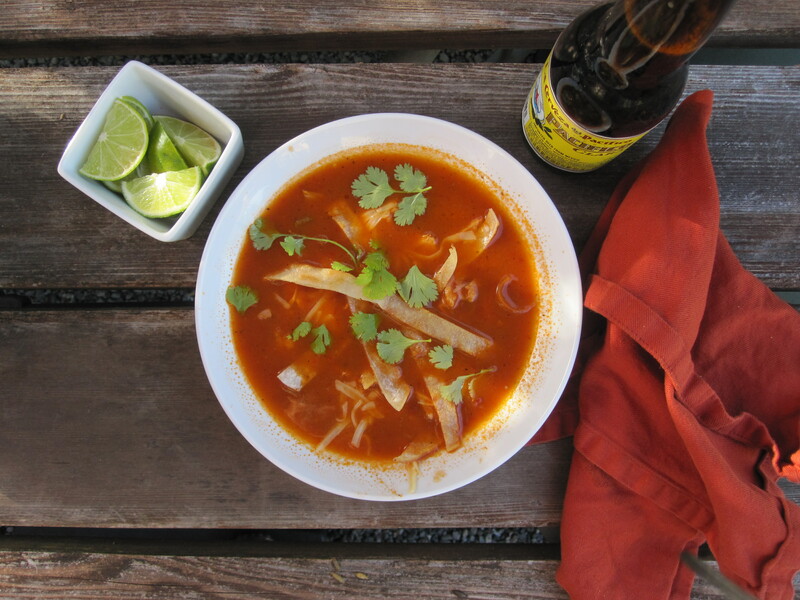 This traditional Mexican soup has largely been overlooked by the American mainstream. 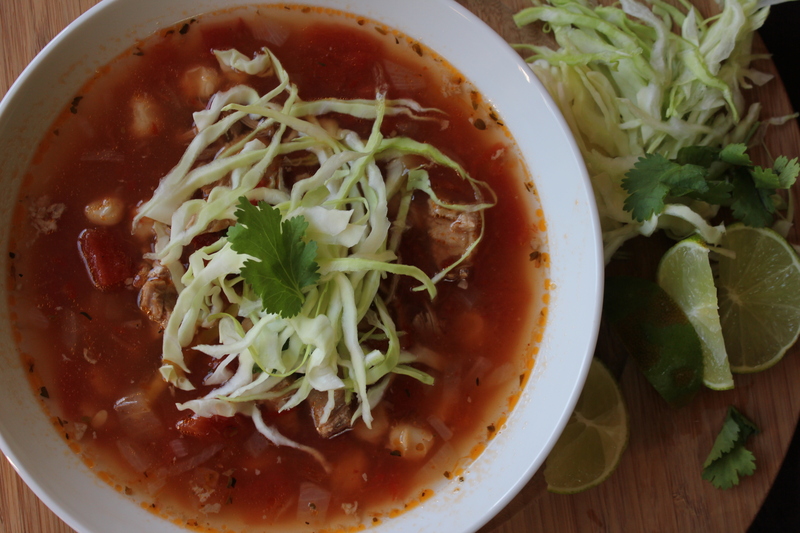 While burritos, tacos, and enchiladas enjoy widespread name recognition, pozole continues to be a bit of a mystery to many people outside the folds of a Mexican family. It deserves to be discovered! Like most great soups, it is composed of the simplest of ingredients that transform into a richly flavored, satisfying supper. Preheat the oven to 300 degrees. Pat the pork shoulder dry with paper towels. Mix together the salt, pepper, and Chile powder. Rub all over the meat. Place roast in a covered oven-safe dish, add 1 1/2 cups of water and bake for 4-5 hours until meat is very tender. Remove from oven, set meat aside. Allow liquid in pot to cool, then skim fat from the top. Reserve remaining liquid for the soup. 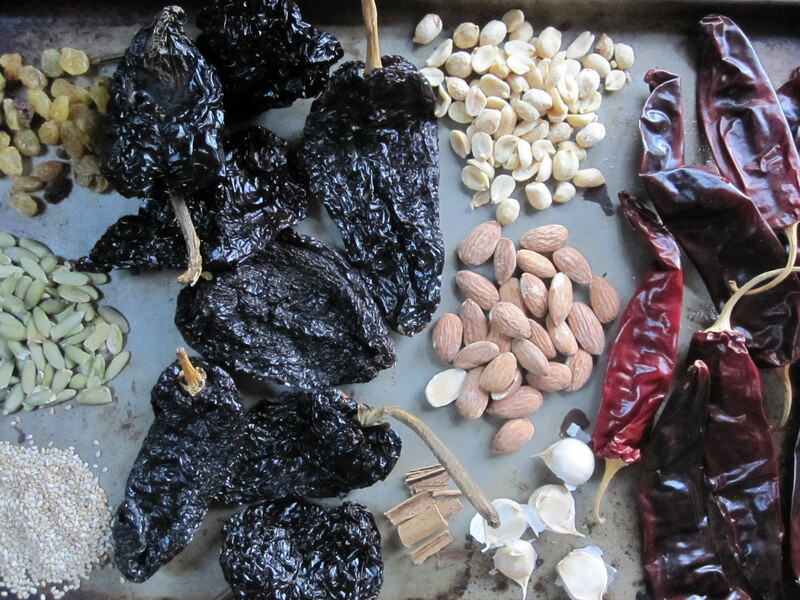 2-3 dried chiles, preferably ancho/ pasilla, soaked in hot water for 10 minutes. Meanwhile, heat the oil in a large soup pot. Saute onions, stirring frequently, until translucent and fragrant, but not brown. Add garlic and saute 2 more minutes. Add oregano, broth, tomatoes, and hominy. Once the chiles have been soaked and are pliable, tear them open and discard the stem and seeds. Using the back of a knife, scrape the inner flesh of the chile and add to the soup. Season with salt and pepper. Bring the soup to a boil, then simmer partially covered for 45 minutes or so. When pork is tender, chop into chunks of desired size. Add meat and reserved braising liquid to the soup. Simmer another 30 minutes or more if you have the time. Season again with salt and pepper. Serve hot soup in individual bowls. Create a garnish platter for each individual to top their soup to their liking. Hot tortillas can be dipped in the soup or used to roll up the pork and hominy into mini tacos.